It is quite common for plants to be used as decorative items in a person’s home, but you need to be careful if deciding to do this yourself as not all plants will do well indoors. You need to select only the types of plants that are suited to indoor environments so that they live long and healthy lives. I am sure that your local gardener will be able to guide you towards the variety of plants that thrive in low light conditions and if looking for plants to place in the bathroom, then you should also look for the types that enjoy highly damp environments, while also requiring minimal care and attention. 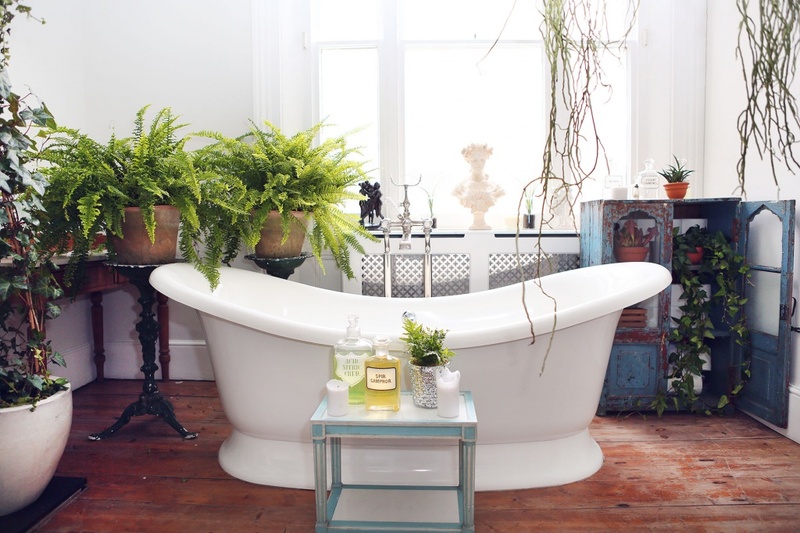 Decorating the bathroom with various plants is certainly a good idea, providing you choose wisely and find the right species to provide optimum benefits to your room. There are actually 5 species of indoor plants that are perfectly suited to living in your bathrooms, not only because of them being suited to the kind of environment found in a bathroom, but also because of the positive effects they have on the air and your own mental well-being; they absorb pollutants and help to reduce stress. Orchids – are very pleasing on the eye, so for an aesthetic improvement, putting an Orchid or two in your bathroom is the ideal solution. The Orchid plants enjoy bright, non-direct sunlight and a humid environment. They also require very little space and minimal care. 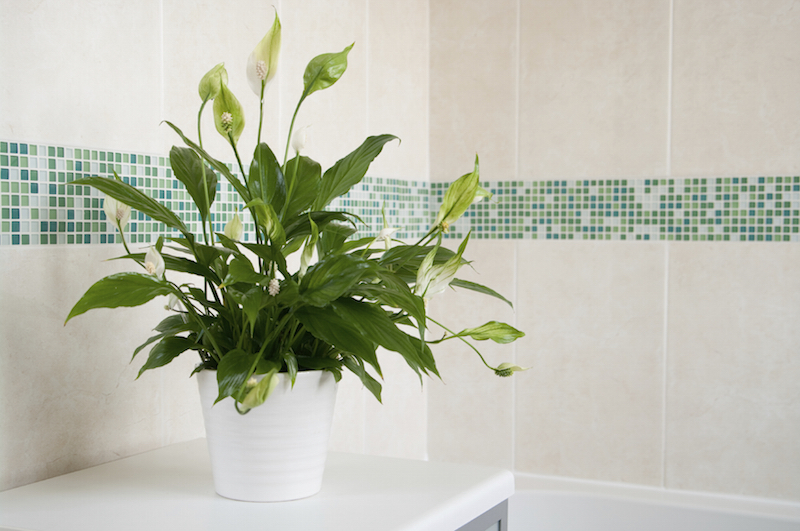 So, you should certainly consider getting yourself some bathroom plants as soon as you can and do what you can to purify the air in your home. Have You Got A Mirrored Bathroom Cabinet? If Not You Should Get One! What Looks Better In The Bathroom; Painted Units Or A Natural Oak Grain?